Component Packs suitable for basic electronic circuits, idea as a starter group of components. All high quality new items of preferred values, no surplus devices. 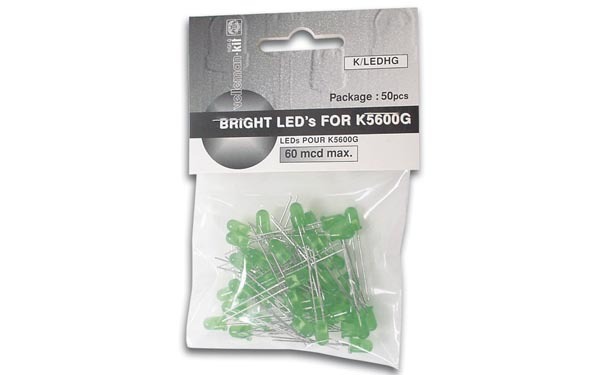 Velleman K/LEDHDR and K/LEDHDG, a small packet of Red or Green 5mm light emitting diodes (LED's). 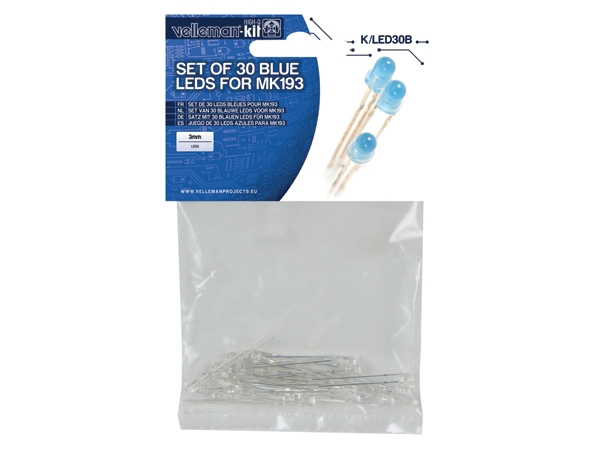 Suitable for use with Velleman K5600R advertisement LED display Kit. 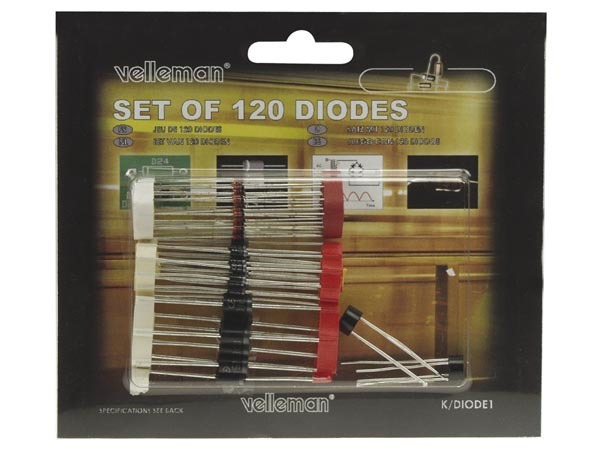 The Velleman K/DIODE1 is a set of general purpose signal and bridge rectifier diodes, including a couple of bridge rectifiers. 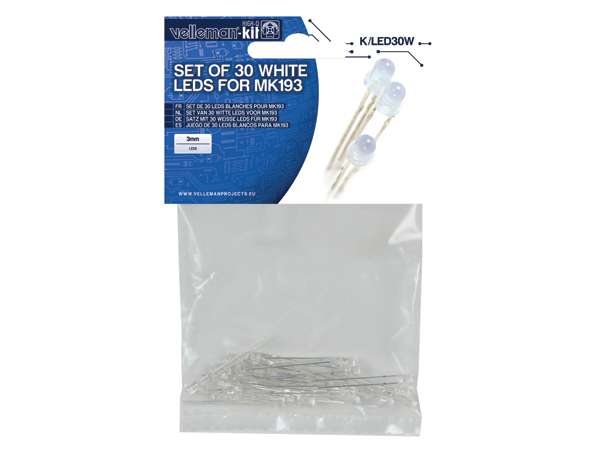 Suitable for use by hobbyists, schools and colleges. 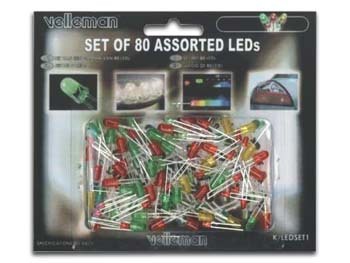 Velleman K/LED1 a small packet of 80 assorted coloured light emitting diodes (LED's). Three colours in the two most popular sizes. 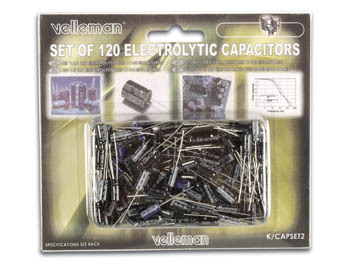 A set of 120 radial electrolytic capacitors, includes popular smoothing and timing values. 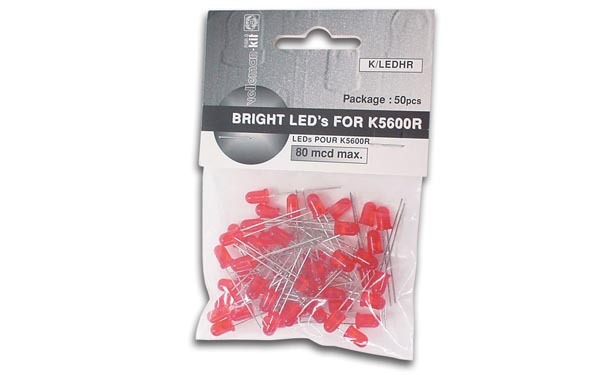 All capacitors are supplied loose inside blister style packaging. 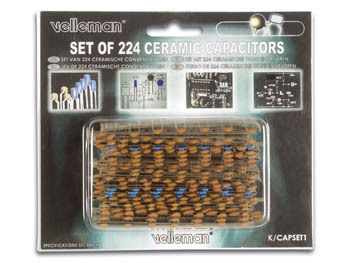 A set of 224 ceramic capacitors, includes popular suppression and filter values. All values are supplied in bandolier style packaging. 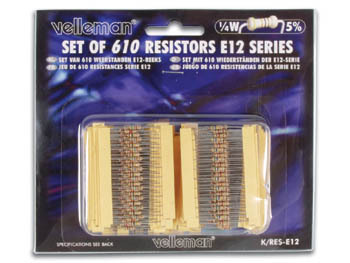 Velleman K/RES-E12 a pack of high-quality carbon film resistors, each value is supplied on a short bandolier. 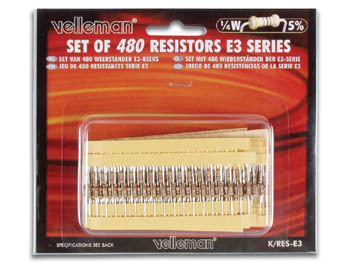 Velleman K/RES-E3 a pack of high-quality carbon film resistors, each value is supplied on a short bandolier. 0.25W, 5% Tollerance, 250V max. 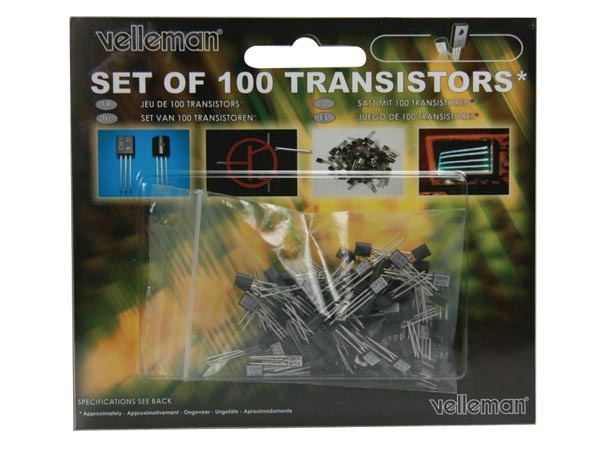 Velleman K/TRANS1 100 of the most popular general purpose signal transistors, suitable for use as a starter kit for the electronic enthusiast or for use by schools or colleges.